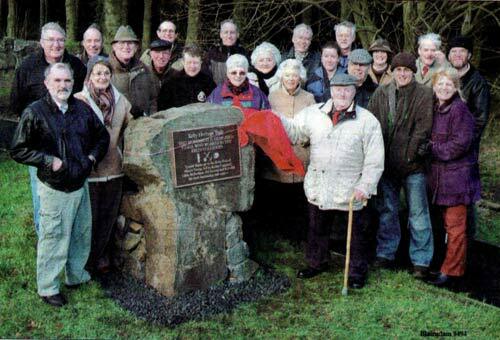 THE new entrance to Blairadam Forest was officially unveiled at the weekend. The proceedings on Saturday afternoon were opened by chairman of Kelty Heritage Trails, Alex Duthie, and he made his comments, understandably brief, on a bitterly cold afternoon with rain and sleet. 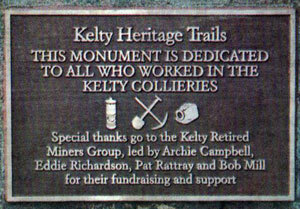 Welcoming an assembled group of around 40 people the chair then invited Archie Campbell, Chair of Kelty Retired Miners Group and founder member of Kelty trails, to unveil the plaque. Mr Campbell said. "It is with some satisfaction that I unveil this plaque today in this the 50th anniversary year of the Lindsay Disaster and I pay tribute to the retired miners for their dedication over the years and providing the seed corn money for the Heritage Trails which are in a way a memorial to the generation of miners and their families who enjoyed the time when a walk up the woods was a popular pastime in a simpler age." "We look forward to a future generation taking full advantage of these forest trails." FORTY years have passed since the last pit closed in Kelty, but the memories of the tough and frequently dangerous times in the mines and the camaraderie they produced are still crystal clear for many. Among the former miners in Kelty and probably one of the best known "characters" in the village Is Archie Campbell, who is still very active in the community today. Kelty born and bred Archie (82) followed his father and grandfather into mining, working from a 14-year-old at the deep shaft Aitken colliery. "I left school on the Friday and started an eight-hour shift in the pits on the Monday. "It was just four months before the Second World War started and was a reserved occupation. "At the time, the National Union of Mineworkers (NUM) was becoming a ' stronger force and they managed to get an agreement that no boy under 16 years could work underground. "It did not last long however because the industry was so short of workers and boys of 14 were allowed down the pits if they were big enough and able enough. They also earned two or three more bob by working underground." During the war, the regular miners were joined by the conscripted Bevan Boys who, Archie says, didn't have the benefit of any knowledge of pit life. "When I started my father told me what to expect, whereas the Bevan Boys were very 'green' and you had to keep a close eye on them for their own safety." 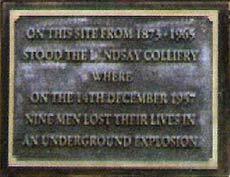 Recently, Archie attended a reunion at the Scottish Mining Museum at Newtongrange, meeting several former Bevan Boys. "It was really interesting to find out that some of the Boys had gone on to become doctors and surgeons." The war-time years also saw an even greater effort from those working in the pits. Archie explains: "Production was at its peak when targets had to be met by the pit owners. 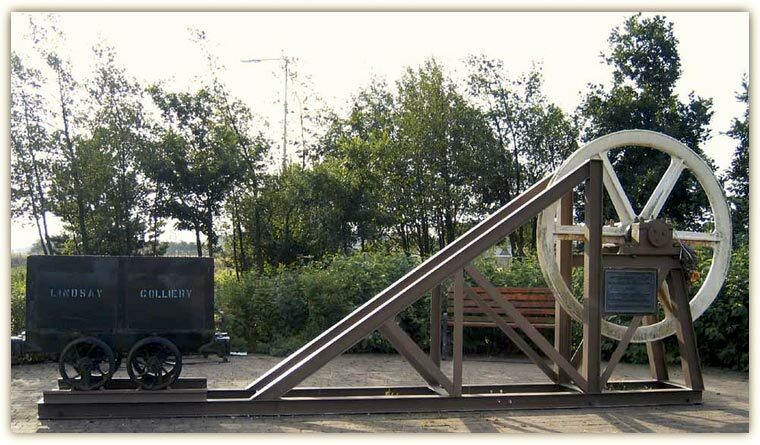 All the miners were determined to meet these targets and were passionate about the war effort." In 1947, the industry was nationalised and, according to Archie, "changed overnight for the better." "We took great pride in our work, and if you had a problem or safety issue you went to one of the union managers and the matter would then be resolved. "Before nationalisation, the coal company bosses would generally dismiss your concerns and frequently tell you to look for another job, viewing you as a trouble-maker. "Lack of ventilation in the pits was a common problem before nationalisation and the colliery owners Often threw caution to the wind as they saw production of paramount importance." During his 46 years in the industry - working underground -Archie had to contend with the loss of colleagues, killed when working in the Kelty pits. The worst disaster was the explosion in the Lindsay in 1957 which killed nine men and injured 11 -with Archie knowing all of those involved. He was a member of the rescue brigade and had the harrowing task of bringing the bodies to the surface. When mining ceased in Kelty in 1965 with the closure of the Aitken colliery, Archie, his wife May and family moved to Ayrshire. Three years later, Archie was injured himself and had to retire, deciding immediately to return to Kelty. Not one to sit all day in his own house, Archie can often be found in the Kelty and Blairadam Ex-Servicemen's Club where he was president for 18 years. He was the first president not to be an ex-serviceman.